Hope everyone has a happy and safe 4th weekend. Can you guess which of these statements is true? If you answered ‘true’ to all three of the above, you would be RIGHT! So how or why do these things happen? While these situations are unlikely in our everyday lives, these are some of the ways that our bodies start to react in extremely cold temperatures. When you listen to the weather forecast, it is especially important to pay attention to the wind chill factor. The strong winds make our bodies lose heat faster, and so the wind chill tells us how cold it will feel outside. When the wind chill reaches -30°C, most people will start to feel the effects of frostbite after being outside for 30 minutes. Frostbite happens once the skin and underlying tissue in our fingers and toes start to freeze. The area will become white, hard and numb. What can you do to protect yourself from frostbite when it is very cold outside? Know the weather conditions and pay attention to local forecasts. Dress in layers with a wind resistant outer layer. Don’t drink alcohol, it will make you feel warm even though you are losing heat. Keep moving to help your body stay warm. Find shelter and limit the time you spend outside. While our winter has been milder this year than in the past, we are expecting more of a ‘classic winter’ for the second half of the season. Boy outdoors in the cold It is important to keep track of the weather forecast, and to be prepared for any sudden changes in the temperature. This is especially important for young children, the elderly and people without permanent housing. a Blizzard and a Winter Storm? The latest and greatest in snow removal technology is always a topic of great interest for our industry. The newest equipment, with sectional wing plows or containment blades, heated pavement & snow melting machines, and various options for liquid and blended de-icing / anti-icing products are always front and center at trade shows and industry events. Technologies such as GPS tracking and meteorological weather prediction apps abound. Little thought or consideration is given to the pioneers of our Snow & Ice industry, however, and the many advances that were made to get us to this point. For most of our history, getting rid of the snow that fell in our towns and villages was nothing much to be concerned about. In fact, snow on the ground was often an asset for getting around with “roads” becoming more passable for horse carts and carriages with packed snow underfoot. The first snow clearing machines (aside from the shovel) were actually giant snow rollers – basically just a large, wide wheel, weighted down with rocks and pulled by a team of horses or oxen! These contraptions just packed the snow down into a dense trackway, and that was that. By the middle of the 1800’s, horse-drawn “wedge” plows were invented to clear snow. It was hard work for the animals, and often left large piles of snow blocking side streets and alleyways, so different versions of horse-drawn “scoop” plows came into existence for these areas that saw more foot traffic than carriages. In the late 19th century, J.W. Elliot, a Toronto dentist, designed a “rotary snow plow”, essentially the forerunner of the modern snow blower. This machine had a rotary engine that drove a wheel rimmed with flat blades. As the “plow” went forward, snow collected in the housing compartment, got funneled up to the blades, which then tossed the snow out through an opening on the top of the housing. Sounds familiar right, but this invention was 15 feet tall and designed to be placed on the front of a train engine, throwing the snow up to 200 feet away. I’d be interested in seeing any of his inventions for the dental industry too! Over the ensuing decades, “snow blowers” got smaller, cheaper and easier to use. Eventually human-controlled versions became commonplace for the residential home market, and are now seen everywhere today, usually on your neighbor’s driveway while you are holding a shovel. As cars & trucks replaced horses and carriages on roads and in cities in the 1920’s, they began to require drier and safer streets, and for snow piles to be hauled away and dumped in fields or on frozen rivers. Motorized salt spreading machines were invented, along with car or truck-mounted snow plows, which could clear streets much faster than horse-drawn plows. The basic design and technology was now in place for development and innovation over the years and decades. Larger machinery, such as loaders & tractors, were incorporated and greatly advanced the speed of snow removal services, as they could clear significantly more snow in much less time. The snow plow “blade” itself also evolved in different ways depending on if it was designed for highway use, residential streets or the onset of the new “parking lots”. Perhaps one of the most important innovations for the Snow & Ice industry occurred in 1959, when “space-age” technology entered the fray. Satellite information allowed for better weather and storm forecasting, and quicker preparation for those with their feet (and snow plows) firmly planted on the Earth. In many ways, not much has changed fundamentally since the late 1800’s; it has been the continual innovation and improvement of the basic existing designs that now clear our driveways, roads and parking lots today. The worst of the summer heat will have subsided soon. Refreshed by the thought of breathing cooler air, you’re poised to roll up your sleeves and do some fall lawn care. But you should read these tips first. The regimen right for your situation will vary, according to whether your lawn is composed of a warm season turf grass or a cool season turf grass. If you are unsure which type comprises your lawn, take a sample to your local county extension. Cool-season turf grasses are so called because they thrive in the cool weather usually associated with spring and autumn. Examples are rye grass, the fescues (both “fine” and “tall” kinds), Kentucky blue grass and bent grass. By contrast, warm-season turf grasses grow most actively when the weather is warm, which is why they are the preferred grass types of the South in the U.S. Some of their names even make you think “South,” as is the case with Bermuda grass and Saint Augustine grass. Other kinds include zoysia grass and buffalo grass. Correct soil pH: if your lawn is not performing well, have your soil tested. If the soil test should show a need to reduce acidity, apply lime now. If alkalinityneeds to be reduced, apply sulfur. Fall lawn care for cool season grasses includes ensuring that lawns receive enough fall water to carry them through the long winter. Don’t think that because the temperatures outside are no longer consistently high, you can totally forget about watering in the autumn. Overall, you won’t need to water nearly as much as in summer, but during hot, dry spells in autumn, remember to provide sufficient water. Another fall lawn care tip that applies specifically to the maintenance of cool season grasses is fertilization. Apply 1 pound of nitrogen per 1,000 square feet of lawn. Or purchase a product that has a low middle number for NPK; for example, Scotts’ “WinterGuard” Turf Builder has an NPK of 32-0-10. Conversely, avoid fertilizing lawns in autumn that are composed of warm season turf grasses. The latter undergoes a hardening-off process during this time of year to prepare it for winter. Fertilizing warm season grasses in the fall may interfere with that hardening-off process. So what fall lawn care tasks should you be performing for warm season grasses? By overseeding with annual winter ryegrass (Lolium multiflorum), homeowners whose lawns are composed of warm season grasses can enjoy a green carpet during the winter, instead of having to look at a brown lawn. But when you buy the seed, be sure to ask for the annual, not the perennial. Annual winter ryegrass will die back when summer’s heat returns, turning over the lawn once again to the warm season grasses. This exit is a timely one. The problem with the perennial winter ryegrass is that it doesn’t go away, competing with your warm season grasses for sunlight, water and nutrients. Lawns composed of cool season grasses can also profit from overseeding. But in this case, the motivation behind overseeding lawns is not winter cosmetics, but to fix bare patches — with an eye to next year’s lawn. Adjusting lawn mower height for fall mowing is not an issue with cool season grasses. Just set the height as you normally would, right up until the time when growth stops and you stop mowing. But an adjustment should be made to lawn mower height in the fall for warm season turf grasses: increase the height by 1/2 inch. Kozlowski’s premise is that the valuable nutrients in the grass clippings can do your lawn some good, left right where they lie after mowing — as long as their bulk is kept at a minimum. By following his rule of thumb and cutting only about an inch off the top of your grass at any one time, the bulk of the grass clippings is kept low. Employing Kozlowski’s lawn care tip will entail more frequent mowing, to be sure. But the result will be a healthier lawn, fed by nutrients that you would otherwise be hauling away. Think of it this way: with Kozlowski’s approach, you’re essentially mowing and fertilizing at the same time. Taking care of two lawn maintenance tasks at once — that works for me. Some useful lawn equipment to perform this task is the mulching lawn mower. With mulching lawn mowers, you do not need to be quite so careful about the height at which you cut your grass, since the clippings are shredded up more finely. This works much better for those of us who do not generally walk around with tape measures on our belts. How Long Into the Fall Season Should I Continue to Mow the Lawn? Those of us who despise mowing can’t wait to retire the mower for another year. But do not be too hasty. Nor should you think that, just because you stopped mowing last year on such-and-such a date, the same end-date will be valid this year. This question is a lot easier to answer than you might imagine, though. Simply continue to mow the lawn until the grass stops growing! Weather will determine this, not some artificial deadline. Striping the Lawn like crestview Property maintenance does. Striping a lawn can create a dramatic effect and elevate the lawn to a new level. When people refer to wanting their grass to look like a golf course, they usually mean the look of the striping rather than the health of the turf. Alternating mowing patterns by 90 degrees or 45 degrees adds to the aesthetic and is good for the grass. Striping is nothing more than pushing the grass down in one direction and then the other, as you mow the lawn. Similar to the grain on suede or velvet, the effect is two different shades of green, a light, and a dark. The effect of stripes you see on a lawn or playing field is simply light reflecting off the grass blades. Blades bent towards you look dark, while those bent the opposite way look lighter. You can see some of the same effects with normal mowing, and creating patterns just takes it a step further. How Do I Get Stripes? You may have trouble striping a lawn comprised of certain low growing warm season grasses like Bermuda grass. The low growth habit and coarse leaf blade will not allow it to lay over. Before you start mowing, decide on the pattern you want to create. It may help — especially when doing this the first time — to make a sketch of how the pattern will fit the layout of your lawn. The possibilities are practically endless, but stripes, checkerboards, and diamonds are the most common patterns. Unless you’re purposely creating a wavy pattern, take care to mow in a straight line. Start by mowing parallel to a straight sidewalk or driveway. To keep mowing straight, look at least 10 feet in front of you while you mow, rather than at the ground right in front of the mower. When you come to the end of a row, lift the mower deck as you turn, then mow in the opposite direction next to your previous pass. To create a checkerboard, mow the lawn a second time at 90 degrees to your first mowing. Finish by mowing a strip around the edges of the lawn. https://www.crestviewmaintenance.com/wp-content/uploads/2018/04/A1111-1.jpg 469 828 jayson https://www.crestviewmaintenance.com/wp-content/uploads/2017/07/Crestview_Logo-e1500507607519-300x195.jpg jayson2018-09-24 14:03:022018-09-24 14:03:02Striping the Lawn like crestview Property maintenance does. What makes us different is… we represent the client! With Crestview Property Maintenance , you’re not choosing between two maintenance companies; you’re choosing between the same thing you’ve always had, and an improved way of handling your maintenance and other services. You’re choosing a company that will become an extension of your management team with the ability to reduce the time and stress associated with managing your maintenance and janitorial vendors. Why continue to hire one maintenance company after another, resulting in the same problems, when you can hire a company that is committed to reducing your stress level and saving you time by managing all those services for you? 5 Tips On Hiring A DayAre You Surprised? Repairs & Maintenance Building services you can trust. Crestview Property Maintenance Services offers a comprehensive array of Repairs & Maintenance Services and has a highly capable staff, prepared and ready to provide for all of your property maintenance service needs. Whether you are simply looking for someone to keep your lighting fixtures in top shape, or something more complex like a retail space refresh.Crestview has the team and resources necessary to provide the commercial property maintenance services that you require. 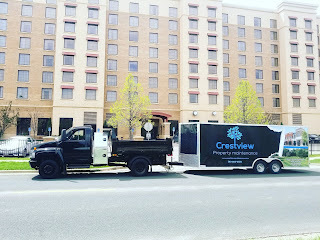 If you are in need of Commercial Building Maintenance, there is no better company than Crestview Property maintenance Services to contract with, as we have the experience and pedigree necessary to provide you with the top quality you deserve. We also have a world class Janitorial Services and a team that pairs very well with our janitorial maintenance teams, creating a cooperative synergy that you won’t find anywhere else. Our highly trained in-house technicians are available for all your property needs. Contact our property maintenance services professionals today to learn more about any of the Repairs & Maintenance Services listed below, and more. https://www.crestviewmaintenance.com/wp-content/uploads/2018/04/google.jpg 161 313 jayson https://www.crestviewmaintenance.com/wp-content/uploads/2017/07/Crestview_Logo-e1500507607519-300x195.jpg jayson2018-09-07 15:37:342018-09-07 15:37:34Repairs & Maintenance Building services you can trust. Whenever I go shopping or to an appointment, I have a tendency to park in the same area as the last time I was there. But sometimes, my favorite parking spaces are taken, depending on the time of day. It doesn’t take long for my mind to start wondering how fast I can find another parking spot—because aren’t we always rushed these days? Unfortunately, that usually means making several laps around the lot—while passing dozens of other vehicles—all on the same mission. Last year, I remember coming across an astonishing report that revealed we spend approximately 17 hours per year looking for parking. That’s quite a bit of time—and gas—we waste before we even get in the doors. Rarely does it cross my mind to think about how much it costs this business for me to park there. How much does it cost for parking lot striping? Or how much of a beating this parking has taken just today from the traffic? Recently, my perception changed after I came across a video of a Massachusetts’ mall parking lot. In this video, it’s an obvious representation of how much of an impact a parking lot takes during an 8:00am to 8:00pm business day. As you’ll see, cars (that can weigh at least 4,000 pounds each) create a constant flow—and ultimately, wear-and-tear on the parking lot. That’s a lot of oil stains, dirt coming off tires, skid marks, and trash blowing in-and-out of cars. It can quickly build up. That means business owners can’t afford to ignore what’s happening outside their doors—even if it’s the exterior side of their business. In fact, parking lot maintenance is just as important, if not more so, as the inside of a business. We’ve all heard of first impressions, right? That’s why as a business owner, it’s important to keep an eye on what’s going on when you arrive and leave your property each day. The moment you start spotting an increase of trash, cracks, depressions, stripe fading, or oil stains, it’s time to call a property maintenance company. At Crestview Property Maintenance , we begin with a survey of your parking lot and exterior concrete structures like curbs and drains. Then, we create a long-term care plan that maximizes appearance and minimizes the parking lot maintenance costs. The best part is, we manage all of these services for you. Contact us today for a complete parking lot maintenance and building assessment to ensure you won’t break the bank over time for repair work on your parking lot. Fall is approaching fast! The weather will be cooling down and everything outside is starting to shine a little brighter, but can you say the same for your commercial property? Consistent property maintenance should be a focus point of all commercial spaces. Washing your windows can be one of those tasks property managers or business owners put a hold on during the winter. When the sun finally comes out, the remnants of winter distract from blue sky viewing. Cleaning your windows will enhance your work space and brighten moods, as well! By hiring a professional property maintenance company you can be rest assured that the job will get done with the proper equipment. Harsh winter seasons leave behind leaf, litter and debris build up in your parking lot. If you haven’t maintained a winter parking lot sweeping program, the leftover winter mess will begin to dry up and not only be a aesthetic issue but a major caked on mud issue and dust problem. Before the summer heat hits hire a commercial sweeping service to clean and collect debris from your parking lot. Also, make sure your parking lot sweeping and property maintenance service uses regenerative sweepers to minimize the amount of dust released into the air while parking lot cleaning. If it’s been a while since you’ve really given your space a good dusting and your space has been closed to winter elements for far too long, most likely a good amount of dust has collected in hard-to-reach or out-of-sight spaces. If this is the case, make sure to add this to the spring cleaning list and hire a professional janitorial service to guarantee they take care of those hard-to-reach places and clear out those cobwebs. Late Summer/Fall Fertilizing: When and How Should You Do It? The issue of when to fertilize depends on a variety of factors, most notably the type of grass you have planted on your lawn and the weather conditions you currently experience. By and large, it is important to remember that keeping to hard and fast rules with regard to fertilizing is dangerous; as with mowing and watering your lawn, being overly by the book in scheduling fertilizing can lead to feeding your lawn when it is unprepared. In the hopes of clearing up confusion over when to fertilize, this post offers both a broad overview of fertilizing dates and some tips for successful late summer and fall fertilizing. 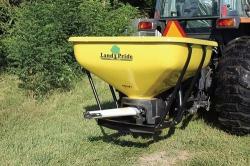 Why fertilize in late summer or early fall? By late August and early September, your lawn is suffering; by the end of a long summer, your grass has just completed a period of relative drought. At this time, injecting your lawn with a shot of nitrogen-based fertilize will go a long way toward facilitating grass growth before the fall. It is important to remember that warm and cool-season grasses should be fertilized differently. For warm-season fertilizer, you want to give your grass a more robust feeding during late summer. This means that if your lawn has Bermudagrass or St. Augustine grass, late August and early September are ideal periods for a substantial feeding. On the other hand, if your lawn has cool-season grasses like bluegrass or fescue, it is best to wait until late fall before giving a more substantial feeding to your lawn. In October or November, use a phosphorous-based fertilizer, which will get your grass healthy before the winter arrives, allowing your lawn to grow more successfully when the spring arrives. Before fertilizing, there are some tips to bear in mind. First, never fertilize if you are still experiencing a period of drought; your grass should have recently received water before it gets fed, and it is also important to fertilize immediately after fertilizing. Also remember to fertilize the edges of your lawn, and walk at a normal pace so as to apply your fertilizer at an even distribution. Finally, avoid overfertilizing; giving your lawn too much fertilizer causes the grass to grow too fast and makes it more likely that your lawn will become ridden with disease. Fertilizing is one of the most important procedures you can do to stimulate growth and prepare your lawn for winter. As we move through late summer and into early fall, be mindful of the weather conditions and your grass species when deciding when to fertilize.Summer Lawn Care for a Hot Lawn The Best Way to Fertilize Your Trees! Don’t Make These Common Lawn Watering Mistakes! https://www.crestviewmaintenance.com/wp-content/uploads/2017/07/Crestview_Logo-e1500507607519-300x195.jpg 0 0 jayson https://www.crestviewmaintenance.com/wp-content/uploads/2017/07/Crestview_Logo-e1500507607519-300x195.jpg jayson2018-07-26 08:37:332018-07-26 08:37:33Late Summer/Fall Fertilizing: When and How Should You Do It? One of the most common by-products of demolition and remodeling is concrete debris. But, when responsibly disposed of, this material can be beneficial. Regardless of whether a construction firm is engaged in demolition, remodeling, or even new construction, getting rid of leftover debris is a constant need until the project is complete. While any construction debris material can be problematic to dispose of, it’s a fact that concrete, masonry, wood, steel, tiling and drywall are especially difficult to remove and haul away from a construction site. In fact, most contractors will agree that concrete waste disposal can be one of the tougher debris removal tasks on their job sites. Simply taking the rubble and debris to the nearest landfill is not only costly and labor-intensive, it is becoming an increasingly difficult option to pursue. 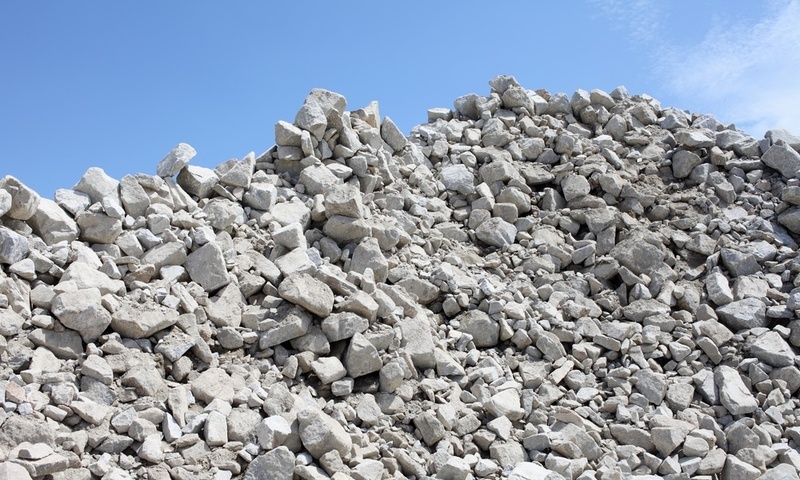 On the hand, choosing to recycle concrete and masonry rubble is a far more efficient and beneficial option. But the problem is figuring out how to best make that happen. Fortunately, there are licensed and professional hauling firms such as Crestview Property Maintenance that are available to handle this type of construction debris. Handing this type of work over to a reliable third-party firm is a strategic approach for those who are managing job sites. And, aside from the economic, logistical, and efficiency benefits of outsourcing concrete waste disposal, there are the green benefits, as well. When structures made of concrete are demolished or renovated, concrete recycling is an increasingly common method of utilizing the rubble. Concrete was once routinely trucked to landfills for disposal, but recycling has a number of benefits that have made it a more attractive option in this age of greater environmental awareness, more environmental laws, and the desire to keep construction costs down. Keeping concrete debris out of landfills saves landfill space. Using recycled concrete can conserve natural resources by reducing the need for gravel mining, water, coal, oil and gas. Using recycled concrete as the base material for roadways reduces the pollution involved in trucking material. Recycling concrete can create more employment opportunities. Recycling concrete drag down the cost for buying raw materials and transporting the waste to landfill sites. Recycling one ton of cement could save 1,360 gallons water, 900 kg of CO2. Once your concrete waste and debris has been cleaned up and removed from your job site it doesn’t simply get hauled off to the nearest landfill. In fact, whenever possible, the waste from concrete removal is recycled and reused in a number of ways. Crushed recycled concrete can also be used as the dry aggregate for brand new concrete if it is free of contaminants. The California Department of transportation (Caltrans), for example allows the use of recycled concrete aggregate, or RCA, for specific applications. And the City of San Francisco has approved the use of RCA as and aggregate concrete for use in curbs, gutter, sidewalk, and street base. Smaller pieces of concrete are regularly used as gravel for new road construction projects. Sub-base gravel is laid down as the lowest layer in a road, with fresh concrete or asphalt poured over it. In addition, concrete pavements can be broken in place and used as a base layer for an asphalt pavement through a process called rubblization. Wire gabions, or cages, can be filled with crushed concrete and then stacked together to provide economical retaining walls. These gabions can also be used to protect embankments or other structures. In such cases even bigger sizes of the crushed and recycled concrete can be used. These gabions function well because of their weight and density. Larger pieces of crushed concrete can be used as riprap revetments, which has become an effective and well-used method for controlling stream bank erosion.This material can be seen along the shoreline, around ditch pipe, and in much landscaping. Typically, the material is usually broken down to pieces between 10 and 18 inches across. Coming from certain crushing facilities, well graded and aesthetically pleasing materials is produced for use as a substitute for landscaping stone or aggregate. Some types of reused concrete, also known as “urbanite,” can be used for constructing benches, garden walls, rockeries, raised beds, foundations for terraces, as well as paths and patios. Part of the beauty of outsourcing the pick up and disposing of concrete waste is the convenience. But, just as important, is the very real impact that having your concrete debris recycled and reused. California, for example, is one of the leading states in the processing and reuse of concrete and other waste building materials, and local contractors are a big part of that movement. Junk King provides an efficient, safe and eco-friendly construction waste disposal service so you don’t need to worry about the pick up or disposal of the debris after your project is complete. One of the best things about hiring Junk King is that we recycle a much of the material we pick-up. This is proof of our commitment to being an eco-friendly removal service. Whether you need our services several times during a construction project or just once after it is complete, our hauling professionals will ensure that the construction debris is out of your way so that you can get on with the job. Our professional and insured hauling team will call 15 minutes before we arrive on your site and we’ll give you a free estimate based on how much room your debris takes up in our truck. We haul the construction waste into our junk removal trucks and with no hidden fees. Our team specializes in construction debris removal. We can be at your facility in mere minutes, so call us today! Our crew is fully insured and well-trained, so you can trust them to get rid of your unwanted items in a professional and courteous fashion. Feels like summer but fall is starting to put its foot on the floor.